Please join us for our annual Seed Swap in partnership with the Garden Museum. The Seed Swap will now be held in the main nave space of the museum. Please let front desk know that you are coming for the Seed Swap and entry is free. 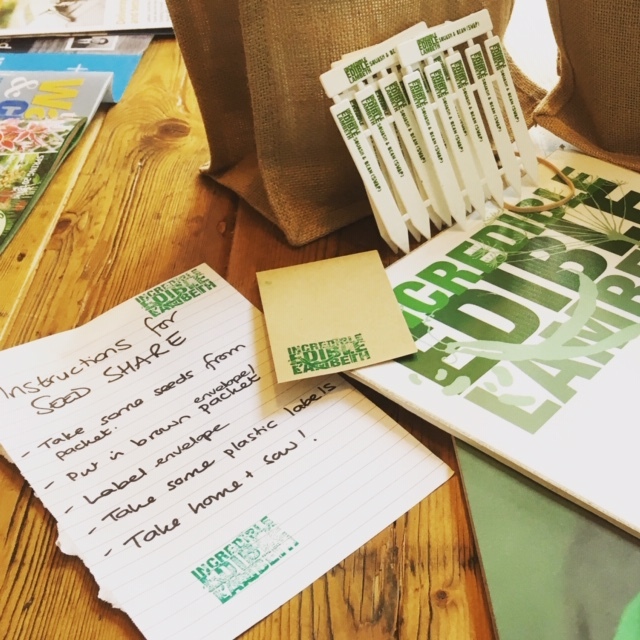 This is a great social event where we will share stories, wrap little seeds of hope in paper and envelopes, plan our vegetable gardens for the year ahead, and go away feeling inspired and energised. Last year we challenged you to save some of your own seed and bring those to share – what will you bring?. This year we will be joined by London Freedom Seed Bank who taught us loads about successful seed saving at our event at the South London Botanical Institute in November. And we will have a donation of seeds from Franchi Seeds so don’t worry if you don’t have seeds to bring – their packets are so huge you can easily split them up. You will also have a chance to look around the Garden Museum, which is free for Incredible Edible Lambeth members.